Battlerope ST battle rope suspension trainer now available exclusively at CYC Fitness! The Abs Company BattleRope ST Battle Rope Suspension Trainer - The Battle Rope Suspension Trainer by the Abs Company, or BattleRope “ST” for short, is a unique functional training system that combines heavy rope training and suspended body weight training into one engaging and highly effective workout. 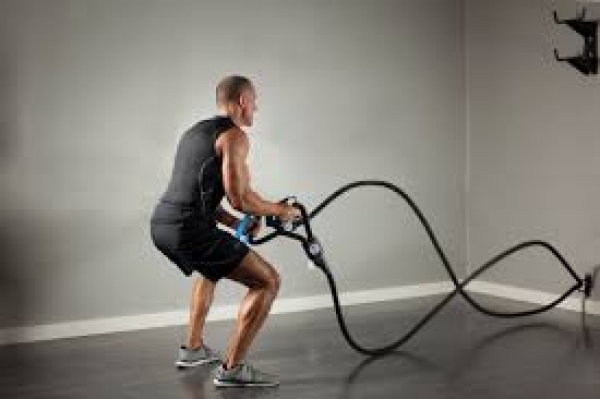 Exercising with battle ropes (also known as power conditioning ropes or fitness ropes) increases cardiovascular conditioning, builds muscular endurance, and strengthens the core. 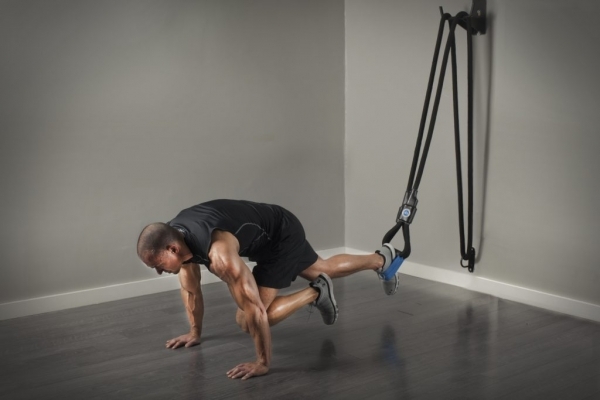 Suspended bodyweight training builds muscle and core strength using the body’s own weight as resistance while maintaining low impact on the joints. 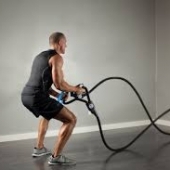 The hybrid 2-in-1 BattleRope ST™ has merged two of the fitness industry’s most popular and proven workout methods and training principles into one versatile product which maximizes results in a minimal space for individual workouts, one-on-one personal training, and small group training. 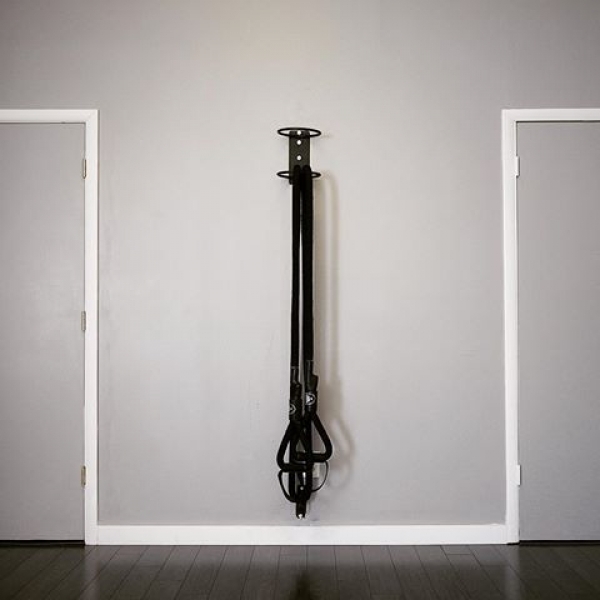 The BattleRope ST has been custom designed to the perfect length with handles and foot loops which enable the user to do unlimited types of exercises in a limited area. Each handle weighs 6 pounds, positioning the primary weight and workload of the rope exercise as close to the body as possible. 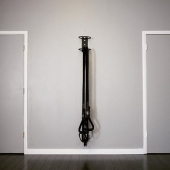 Because the BRST keeps the weight in the handles, the overall length of the rope could be cut down to only 20 feet, meaning you need merely 10 feet from the attachment point for battle rope training. When compared to a traditional 40’ rope, the overall weight and length of the BattleRope ST comes in at HALF while still allowing the same workout benefit when performing rope undulations, waves, and slams. Instead of using 1-1/2” or 2” thick braided rope, the BattleRope ST uses an ultra-strong static nylon web rope 1-1/4” in diameter which is super lightweight and flexible, very similar in material construction to that used for rock climbing with the exception that it will not stretch under load (advantageous for body weight training).